When it comes to productivity solutions for many complex applications, the GSU-40 multi-process type CNC universal grinder delivers uncompromising performance job after job. Designed for peak operation in one chucking, the GSU-40 brings precision, convenience and flexibility for a wide range of grinding operations. 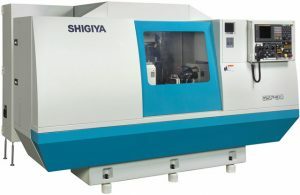 This truly universal machine processes even the most difficult workpieces quickly and accurately.